Stampin' Up! 's Pleasant Poppies stamp is a wonderful way to feature the white craft ink technique. I loved this stamp set when I first saw it because it reminded me of the poppies I have growing in my garden in the spring. For the white craft ink technique, first heat emboss a lined image with white embossing powder on a darker card stock. Most of the samples I have seen are on Crumb Cake card stock. Then color in the image with Stampin' Up! 's Whisper White craft ink and let dry. Craft ink is quite thick, so you'll need to use an Aqua Painter or a paint brush with a little water. Let the ink dry thoroughly which will take some time. After the craft ink is dry, paint over the Whisper White craft ink with the colors of your choice. You can use an Aqua Painter, paint brush or Stampin' Write Marker to color in the images. I used Stampin' Up! 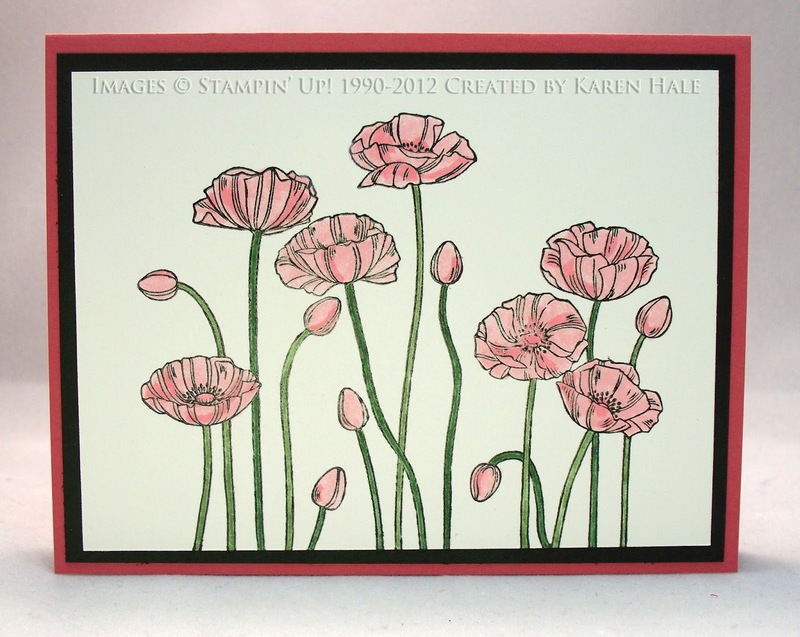 's Classic Inks in Calypso Coral and Tangerine Tango to paint these poppies. The sentiment is from Petite Pairs which IMHO is one of Stampin' Up! 's most versatile stamp sets. It is a must have for any Stampin' Up! fan. 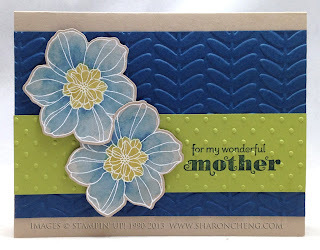 My friend, Marilyn Young, made this card using Stampin' Up! 's Secret Garden stamp set for one of our demonstrator swaps. She used the same Whisper White craft ink technique. With the coordinating framelits, die cutting this flower is quick. I love how she entwined the two flowers with each other. You can buy Stampin' Up! 's Secret Garden stamp set and Secret Garden Framelits as a bundle or separately. My downline, Karen Hale, made this card using Pleasant Poppies and the more traditional method of coloring an image stamped on Whisper White card stock. 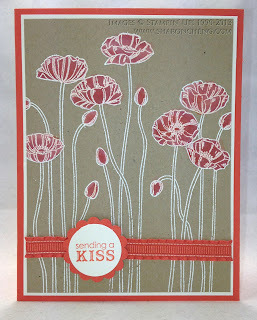 Have fun playing with this white craft ink technique and finding different ways to use the Pleasant Poppies stamp set. Visit my online store to get your supplies for this project. Remember that when you purchase $25 or more in product, you are eligible for my Rewards Program.